Dimensions 0.50 by 7.25 by 10.50 in. Medical electronics; Equipment and supplies. 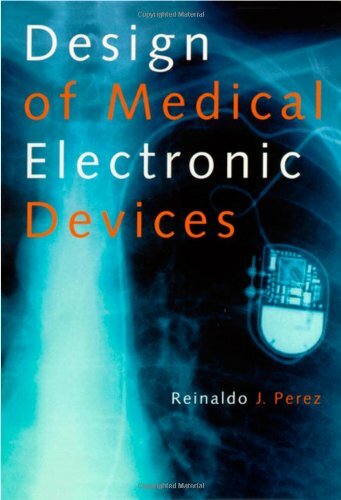 Amazon.com description: Product Description: The design of medical electronics is unique because of the background needed by the engineers and scientists involved. Often the designer is a medical or life science professional without any training in electronics or design. Likewise, few engineers are specifically trained in biomedical engineering and have little or no exposure to the specific medical requirements of these devices. Design of Medical Electronic Devices presents all essential topics necessary for basic and advanced design. All aspects of the electronics of medical devices are also covered. This is an essential book for graduate students as well as professionals involved in the design of medical equipment. About: The design of medical electronics is unique because of the background needed by the engineers and scientists involved.